Absolute Divorce: Commonly referred to as divorce, an absolute divorce can only be obtained by a judgment of the court that finds all legal requirements have been met. It is not possible to remarry until divorce is absolute. Action: Also called a case or lawsuit. A civil judicial proceeding where one party sues another for a wrong done, to protect a right, or to prevent a wrong. Adjudicate: To make a final decision; to give a judgment or a decree. Alleged Father (Putative Father): A person who has been named as the father of a child born out of wedlock, but for whom paternity has not yet been established. Alimony: Maintenance or spousal support, which is legally based on the reasoning that both spouses have an absolute obligation to support each other during the marriage. Either husband or wife may request post-separation support (PSS) and/or post-marital alimony, and the court may order either to pay alimony. Allegation: Saying that something is true. The assertion, declaration, or statement made by a party in a case or pleading. Annulment: A court decree that says the marriage was never valid. Examples of grounds for an annulment include: the spouses are nearer of kin than first cousins, either spouse is under age 16, the marriage was entered under the belief that the woman was pregnant, either spouse is physically impotent, either spouse is incompetent, or rhe marriage is bigamous. Antenuptial Agreement: Also called Pre-Marital Agreement or Prenuptial Agreement. An agreement between prospective spouses made in contemplation of marriage and to be effective upon marriage. Depending upon the terms and validity of the agreement, a valid premarital agreement may bar alimony and property distribution beyond the terms specified in the agreement or bar them entirely. Appearance: By coming into court, a defendant agrees to abide by the jurisdiction of the court; gives to the court an address to which the court can mail notices of hearings and other court documents; and a document identifying someone who is representing another. An attorney files a Notice of Appearance, making it known to the court that she or he is representing a specific individual. Appellant: The person/party appealing the judgment or decision of a court. Appellate Court: A court having jurisdiction (authority) to hear appeals. Arbitration: A process by which parties agree to resolve their disputes outside of court, authorizing a third-party (the arbitrator) to decide how to resolve the issues. The arbitrator’s decision is usually binding upon the parties. Arrearage/Arrears: An amount of money that is overdue; usually this refers to the amount of child support that has been ordered but has not been paid on time. Brief: A written document prepared by a lawyer and filed with the court in support of their arguments. Child: Any person under the age of eighteen (18) years of age. Child Support: Money and health care paid by the non-custodial parent to the custodial parent for the support and care of the children. Civil Action: A lawsuit, other than a criminal case, filed in a judicial district courthouse. Civil actions include family actions (e.g., divorce, child support)and small claims cases. Cohabitation: Two adults dwelling together continuously and habitually in a private heterosexual or homosexual relationship. Cohabitation is evidenced by the voluntary mutual assumption of those marital rights, duties and obligations that are usually manifested in a marriage. Cohabitation may be relevant to the issue of alimony entitlement. Complaint: A legal document filed by the plaintiff that initiates a lawsuit. A complaint states the issues the plaintiff wants the court to resolve. Contempt: A civil contempt of court generally arises from a willful failure to comply with a court order, such as a failure to pay child support. Punishment for civil contempt may be a fine or imprisonment. Custodial Parent: The parent (or parents, in joint custody situations) designated by the court to make major decisions regarding a child’s care. Custody: A court order that decides where a child will live and how decisions about the child will be made, as set out by an agreement between the parties or as decided by a judge. Defendant: In civil cases, the person who is given court papers, also called a respondent. Dependent Spouse: For the purposes of maintenance, this is the spouse that is dependent on the other spouse for financial support. Deposition: Testimony taken orally or in writing outside of a courtroom by question and answer under oath. It may be read in court and may be admitted by the judge as evidence. Discovery: The procedures available to a party to a lawsuit to learn relevant facts which are known to other parties or witnesses, in order to enable the party to prepare for trial. Equitable Distribution: When dividing marital property during a divorce, Missouri law allows for identification, classification, valuation, and division of marital property and debts. Equitable distribution doesn’t always split property equally (i.e., not fifty-fifty). With equitable distribution, the court considers distributional factors, the classification of property (marital, separate, or mixed), and other factors. Filing: Giving the court clerk legal papers, which become part of the case file. Joint Custody: Joint legal custody, joint physical custody, or both. 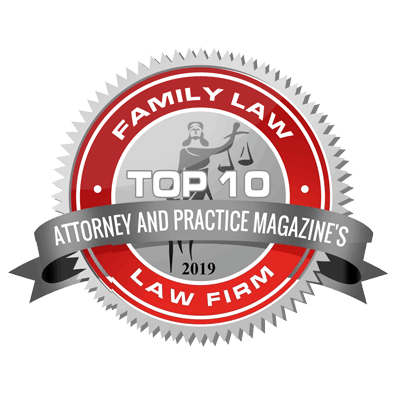 Joint Legal Custody: Involves a common joint decision-making arrangement where the parents are required to consult with each other on major issues involving the children. Joint Physical Custody: A residential schedule for the children providing that each parent has the children residing with him and her for a substantial portion of the year. The exact amount of time each parent must have with the child for an award to be deemed joint custody has not been exactly determined in Missouri. Judge: A person who hears and decides cases for the courts. Judgment: Also called a decree or an order. A final written decision of the court regarding the litigated issues. Lump Sum Maintenance: One lump payment of maintenance instead of periodic payments. You may want to consult with your tax attorney and/or Certified Public Accountant regarding the tax consequences prior to signing a lump sum maintenance agreement. Mediation: The process by which parties attempt to resolve a dispute outside of the court system, through a negotiation-style settlement conference. Unlike an arbitrator or a judge, the mediator has no authority to compel the parties to accept a particular outcome and if the parties fail to reach a settlement, they may proceed to trial. No-Fault Divorce: Described as irretrievably broken down. The most common kind of divorce, where no one needs to prove that the husband or the wife is at fault, or caused the marriage to end. Oath: To swear/affirm to the truth of a statement or document. Order of Protection: Also called Restraining Order. A civil court order to protect a family or household member from physical abuse. Pendente Lite (PDL): A temporary order for maintenance, custody, or support that lasts during the pendency of the case, and is superseded by a final judgment. Permanent Maintenance: Paid until either the death of the payor or the remarriage of the recipient. Generally permanent agreements include clauses that state maintenance ends if the: parties resume marital relations, recipient remarries, recipient cohabits with another adult in a sexual relationship, either party dies, or the stated expiration date is reached, if one was included in the agreement. Plaintiff: Also called the complainant or petitioner. The person who sues or starts a civil case. Post-Nuptial Agreement: Also called a Post-Marriage Agreement. A marriage contract that legally defines the spousal relationship and is generally used to: allocate funds or property to children from a previous marriage, amend a pre-nuptial agreement that was signed before marriage, define and clarify ownership and division of financial assets in the event the couple divorces (e.g., property, receipt stock options, businesses started by you or your spouse), plan for property distribution in the case of death or divorce, or effectively manage their marriage partnership and responsibilities. Pre-Marital Agreement or Prenuptial Agreement: Also called Antenuptial Agreement. An agreement between prospective spouses made in contemplation of marriage and to be effective upon marriage. Depending upon the terms and validity of the agreement, a valid premarital agreement may bar alimony and property distribution beyond the terms specified in the agreement or bar them entirely. Record: The pleadings, the exhibits, and the transcript made by the court reporter of all proceedings in a trial. Rehabilitative Maintenance: Generally awarded when the recipient is younger, or able to eventually enter or return to the work force and become financially self-supporting. This type of maintenance agreement may include paying for education to enable the recipient to become self-supporting. It is the most commonly awarded type of maintenance. Restraining Order: Also called Order of Protection. A civil court order to protect a family or household member from physical abuse. Retainer Agreement: Also known as a legal service agreement. A contract setting out the terms between a lawyer and client for retention of and payment for the lawyer’s services. Separation Date: The date of a physical residential relocation of one spouse with the intention, of at least one spouse, that the separation be permanent. Summary Judgment: Summary Judgment is a simplified divorce procedure that is based on both spouses: living separate and apart without cohabitation for one year, agreeing to all terms of the divorce, with no issues to be decided by the court, and the court’s finding that all facts from non-testimony evidence are presented by affidavit, verified motion, or other verified pleading. Summons: A document notifying a party of a court action and requiring that a party respond within a certain timeframe. It is issued by the clerk of court, usually with the complaint, and may be served by the sheriff or by certified mail to the individual named on the summons. Temporary Maintenance: Payments are made for a specific period of time, typically one to two years. This type of maintenance agreement may be awarded when one person may need financial assistance to get re-established. Visitation: Also called child visitation, access, or parenting time. A court order deciding the amount of time the non-custodial parent may spend with the child. Wage Withholding: A court order that deducts child support or alimony payments from the responsible party’s wages.